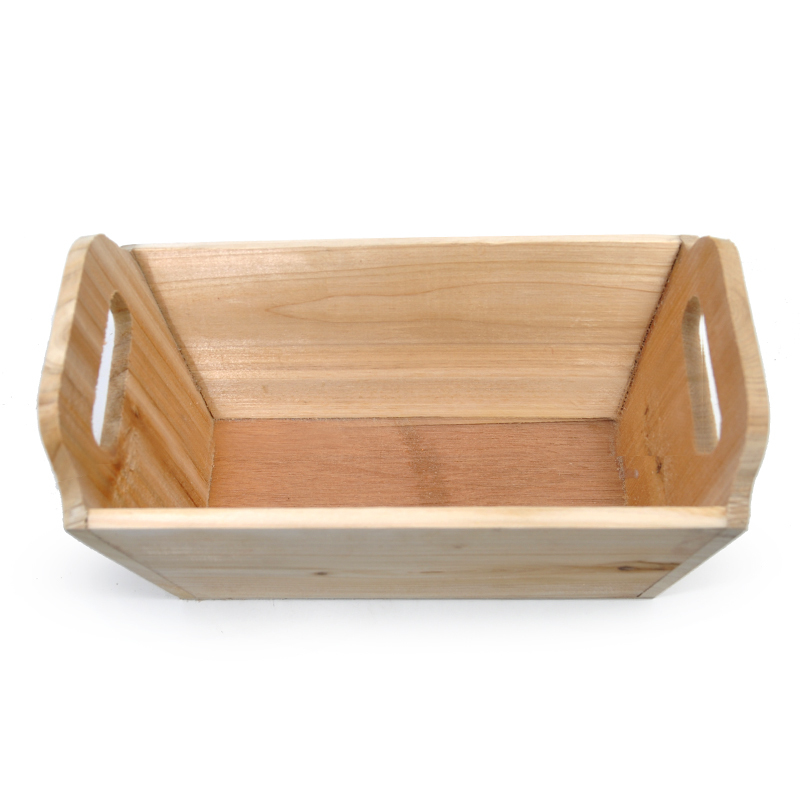 Natural Rectangular Wood Tray - Medium The Lucky Clover Trading Co.
Functional and sturdy, this natural rectangular wood tray has multiple uses. 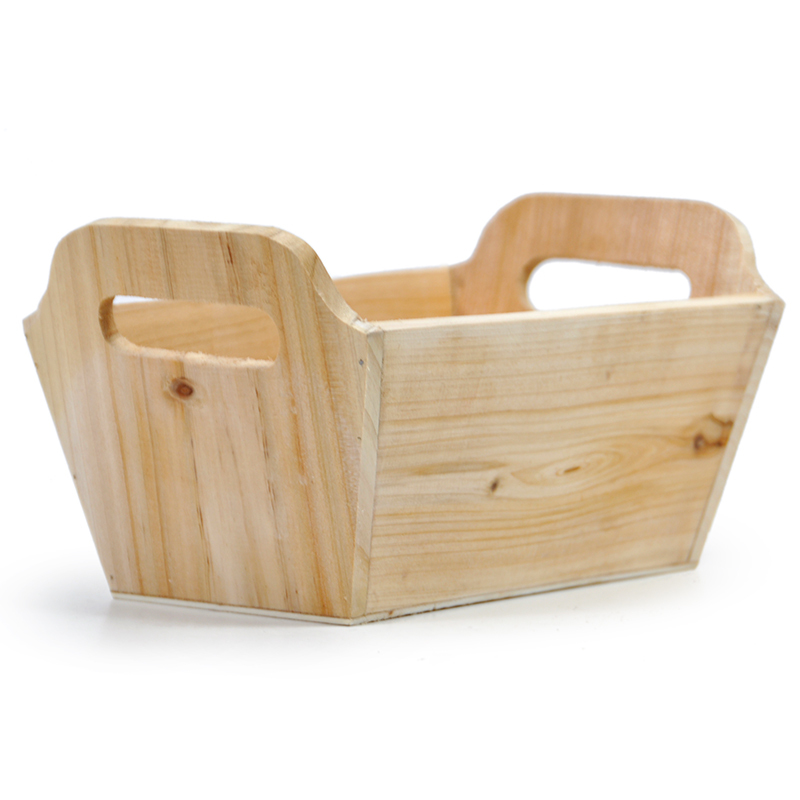 Great as a utility basket to store items in the kitchen, playroom, or to organize a garage. 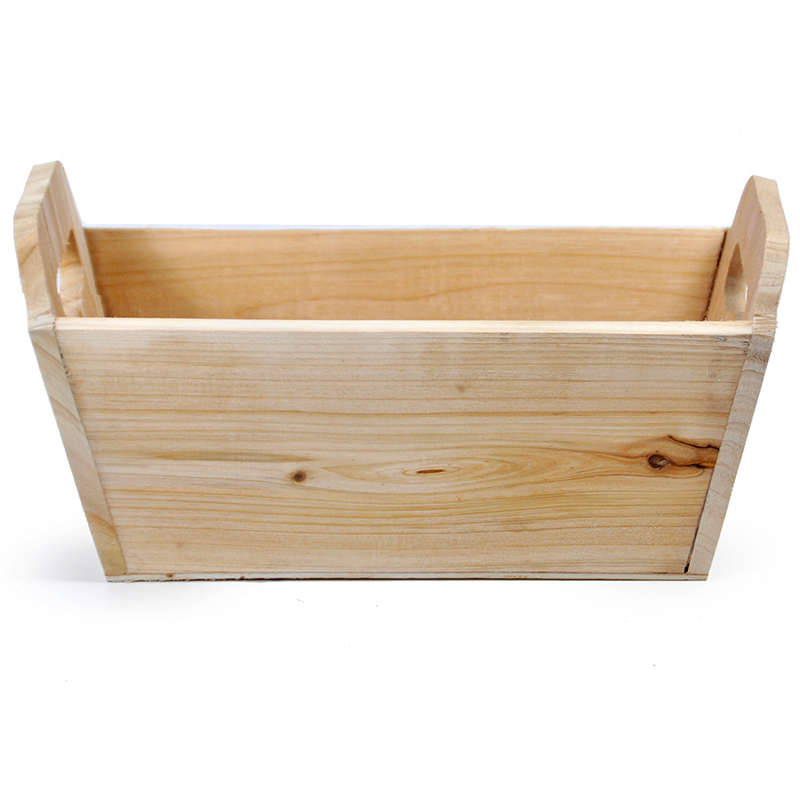 Because the tray is natural, its smooth surface can be painted on. Use it for a day of arts and crafts for the kids, or paint each tray in a favorite color. I ordered 50 wooden trays, which, being in Hawaii, required an offline shipping estimate. I got a call within minutes of placing the order. The trays arrived before expected delivery, as pictured and in good condition. A few could use a light sanding, but I expected rustic, so that's OK.
Wood Tray works great. Received it quickly. Perfect for putting merchandise in to sell. These are so cute and so functional. We purchased a few as samples for gift baskets but we are already using them for holders for various items. They will make great gift containers, but obviously have many uses. And as with everything Lucky Clover sells, very reasonably priced.